A roadtrip with your friends! From germany: All ways lead over Salzburg. By getting to Zrce Beach with the car you should definitely note that beside to the fuel cost there are some several other costs. For example the highway toll fees, vignettes austria/slovenia and the fee for the ferry to the islang Pag. The easiest way from germany to croatia is the way through Salzburg, Villach, Ljubljana, Rijeka and then with the ferry to Novalja. This route is the fastest and easiest. Another option to get to Novalja is the roundabout way across the bridge in the south. The roundabout way will last about 2 hours more in the car. The direct way with the ferry lasts only about 15 minutes. 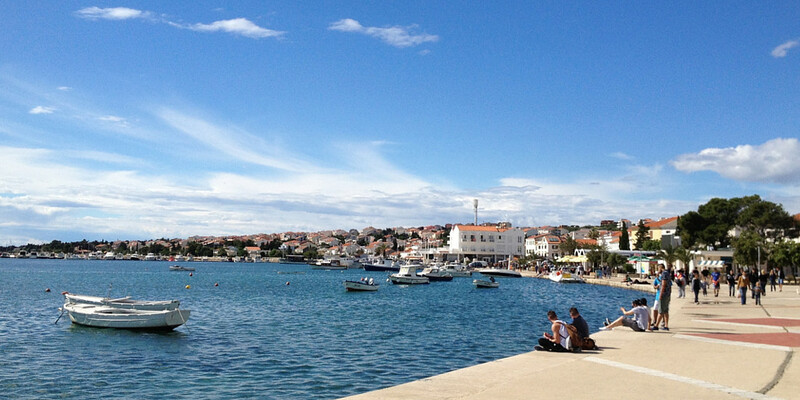 You get all informations about the ferry to Novalja here. The ride with the car can sum um to a big amount very fast. fee for the ferry about 2,40€ per person and about 15€ per car. Exact prices you find here. In the summer months especially on saturdays you need to expect long waiting periods. Who doesn’t want to wait must take the roundabout way across the bridge in the south (this way takes about 2 hours!). In this calculation are toll fees, highway tunnel fees and the ride with the ferry factored. The fuel costs increases the amount also. We calculated with a stay of 7 days – so in slovenia you need the vignette for 30 days. You don’t want to drive with the car to Zrce Beach? Then take one of our busses! We offer you several deals for the ride with the bus. 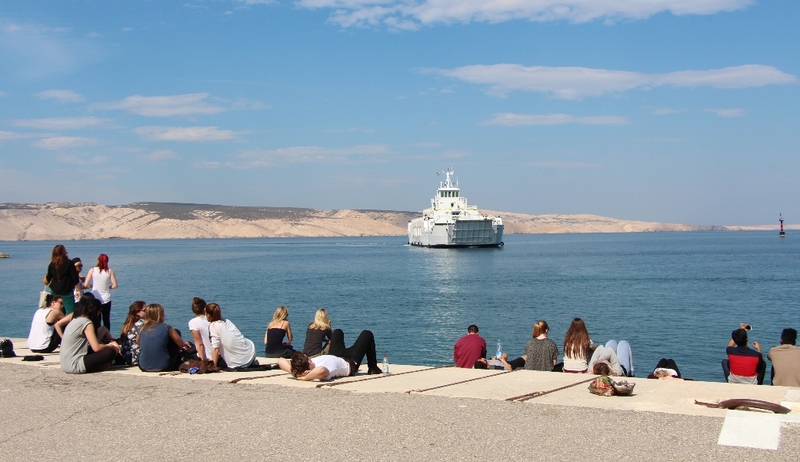 You can avoid annoying hours in the car and the bus takes you to Zrce Beach in a relaxing way. In our deals, the fee for the ferry is already included. Here you find our bus offers. Before starting your trip we recommend a look to the current traffic and weather informations for the croatian highway. For the most vacationers from germany the route goes across austria and slovenia to croatia. In all three countries you need to pay for the use of the highway or you need a vignette. From vacationers from south-west germany and swiss there is also an alternative route across swiss, italy and slovenia. Also ferrys from italy are possible. Who takes the ferry can save up the money for the highway toll fee by using the coastal road. Another possibility is to take the car train. So you have your car with you but don’t need to drive by yourself. You can take the car train to Triest. From Triest there are only 3 hours left to Novalja.